We Need Moore Missionaries! | Glory to Jesus Christ! 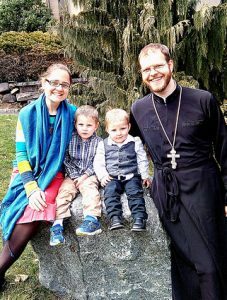 OCMC missionaries Fr Christopher, Matushka Jen, and their boys Andrew and Gideon will join us for Divine Liturgy on September 2 and give a presentation about their work through the Orthodox Christian Mission Center during coffee hour. Our parish supported the work they did in Mongolia as lay missionaries 2014-2015. After that experience, OCMC asked Christopher to consider a call to serve in the mission field as a priest. He graduated seminary in May, newly ordained, and he and his family are preparing for their next mission field. They are in need of your prayers and support! In May 2018 we completed our three years at St Vladimir’s Orthodox Theological Seminary and are now making plans to return to the field as missionaries. After a great while of praying and seeking out field options, we believe the Lord is calling us to South Korea. We are now in a season of team building and support raising as we transition to life on the Korean peninsula. Fr Chris travels to Seoul in September for a month of training with Metropolitan Ambrosios and others at the cathedral. Upon Fr Chris’s return, we will continue our team building until we are fully supported. At that time, our whole family will travel to Ulsan, South Korea, the 7th largest city in the country and begin to serve at St Dionysios of Aegina parish. 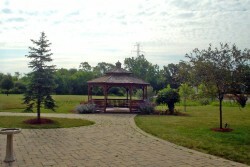 We ask your prayers that Christ would grant us smooth transitions and a fruitful ministry upon our arrival!